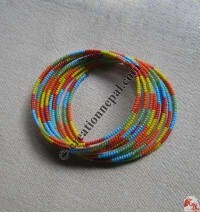 POTE is a common name for the colorful tiny glass beads that are very popular in Nepalese society and culture. 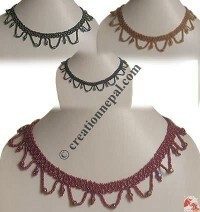 These tiny glass beads necklaces represent the sign of luck for the married women in Nepal especially in the Brahmin, Kshetries and other Hindu communities. 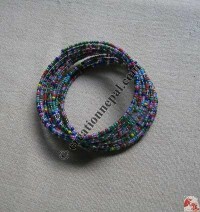 It also represents the marital status of women in such communities. 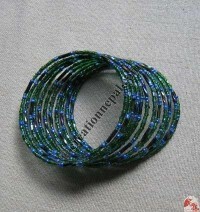 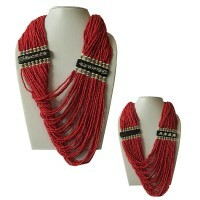 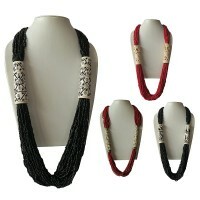 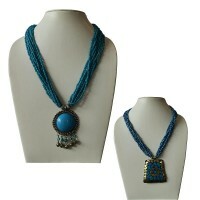 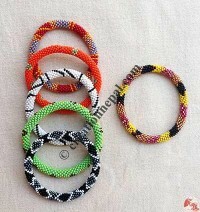 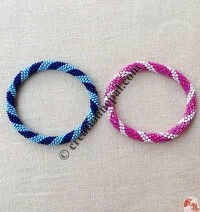 Nowadays colorful glass beads (pote) are used to make fashionable jewelry. 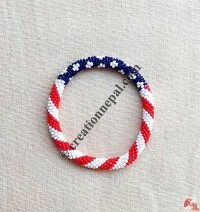 Whether it is necklace, wrist bands, bangles, belts, finger rings, earrings or ear studs, different accessories are being entirely hand crafted out of these highly praised beads all around the World. 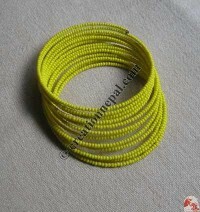 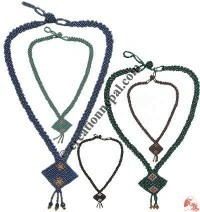 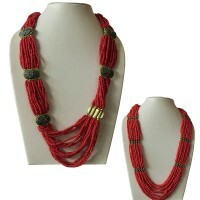 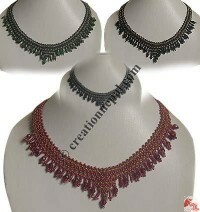 Creation Nepal offers varieties of pote beads jewelry in this category.